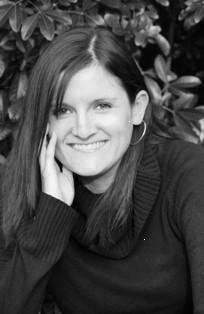 I’m Karen Saunders, author for children and teenagers. It’s lovely to see you here, so pull up a pew and have a nosy around. This is where you can find out all about me, my picture books, my novels, and read various other bits and pieces. You can also check in with my blog to hear about what I’m up to, or get in touch if you’d like to here. I’d love to hear from you. PS I’m not the Karen Saunders that writes about bread making or toasties. She’s someone else entirely. Ironically, I’m gluten free, so can’t even eat bread. Hey I’ve read Me,Suzy P and I’ve just finished Suzy P and the trouble with three ,I love the Suzy p books so much they are so good! Are there going to be more Suzy p books or is that it? All the way from the Netherlands a quick questions for you! My daughter loves your books and soon she will have a book review about Suzy D. We spend a lot of time searching for information about you, but we can’t find your age and how many children you have. It would be fantastic to be the first in Holland to have new information about you! 😉 Would you be so kind to share this with us? Thank you and please keep writting! Your books are really good! Hello – can you contact me via the ‘about me’ page please and then I’ll be able to respond to you? Thanks!